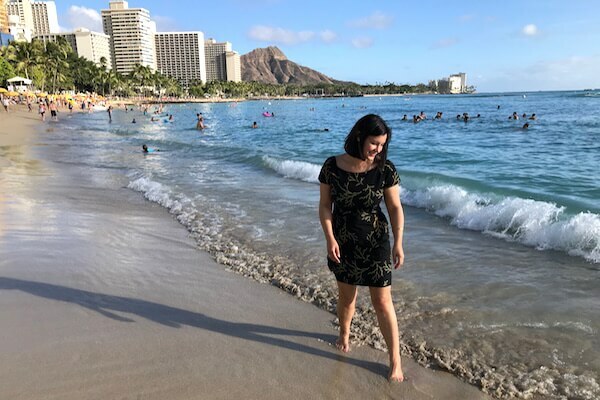 Local culture reigns supreme in Hawaii (obvi) but should Australian homesickness set in on holidays here’s an emergency list for a quick Aussie fix. While I love everything about living in Hawaii naturally I have days when I miss my Aussie homeland. 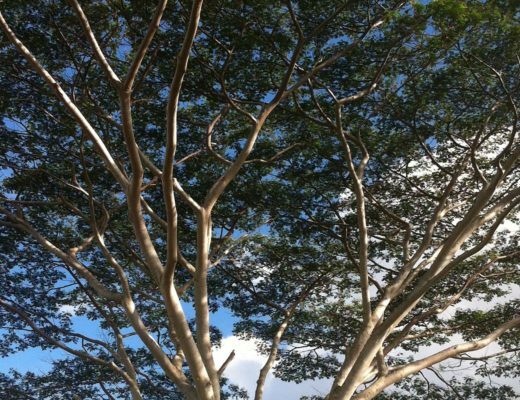 It’s been exciting discovering pockets of Australia on the island of Oahu, and I’m here to share them. Let me show you where to find Aussie influenced cafes and restaurants, watch an AFL or NRL match live on TV, enjoy a great rack of Australian lamb, stock up on food and bevy favourites from Down Under, and even locate our beloved vitamin-mineral supplement Berocca (you’ll thank me after a big night out in Waikiki!). Bill Granger is an Australian chef famous for his scrambled eggs and pancakes. While technically this trendy eatery is called bills Sydney, the restaurant that shot Bill to foodie fame, it’s better known locally as bills Hawaii. 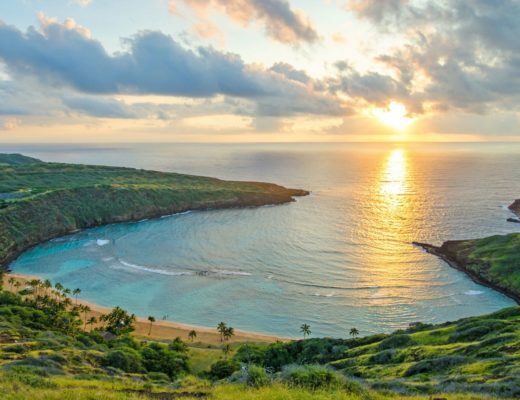 It’s home to a Full Aussie breakfast with thick Australian-style bacon, Vegemite toast and haloumi, a rare find in Hawaii. 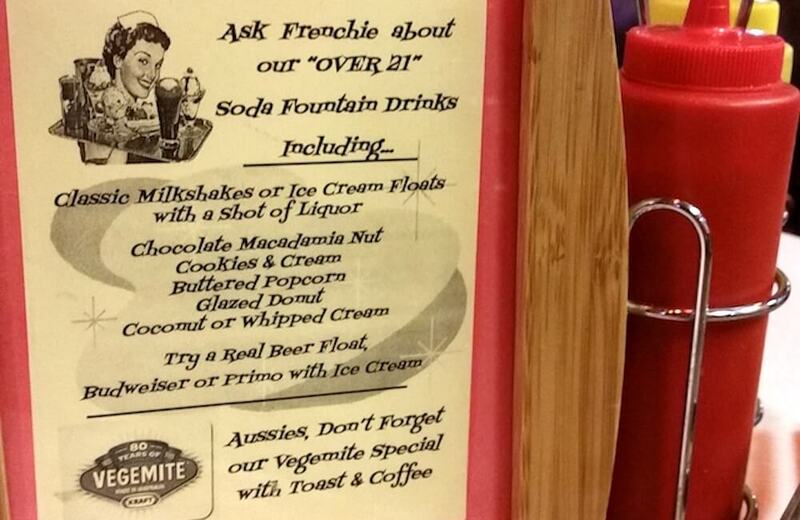 Bonus: They also serve Coopers Brewery “Original Pale Ale” from South Australia. Hours Mon-Fri 7:00am-5:00pm; Fri-Sat 8:00am-5:00pm. The name of this cafe gives away its origin, plus the fact one of the owners hails from Down Under. Arvo, slang for “afternoon” in Australia, is a gorgeous Aussie-inspired coffee shop. 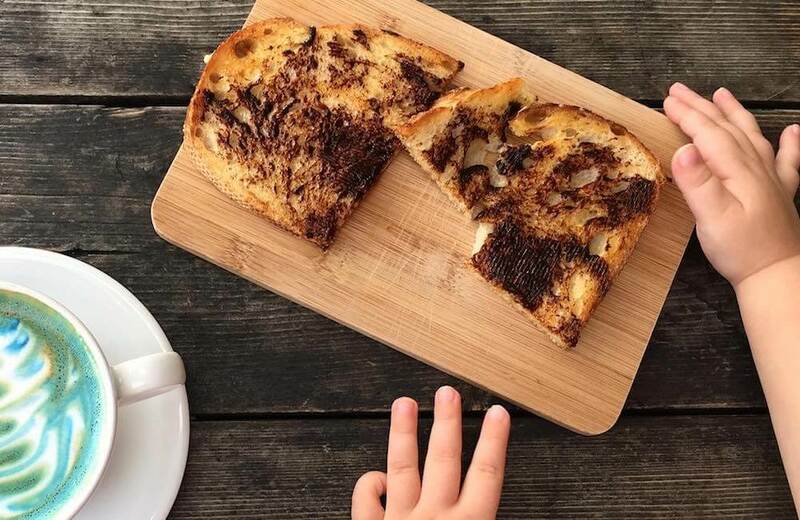 Arvo Cafe is a very cool spot to grab a flat white, order Vegemite toast, avocado loaded toast or to try matcha pudding. Bonus: Food is served with an edible flower, so Instagrammable! Hours Mon-Thu 4:00pm-10:00pm; Fri-Sun 11:00am-10:00pm. 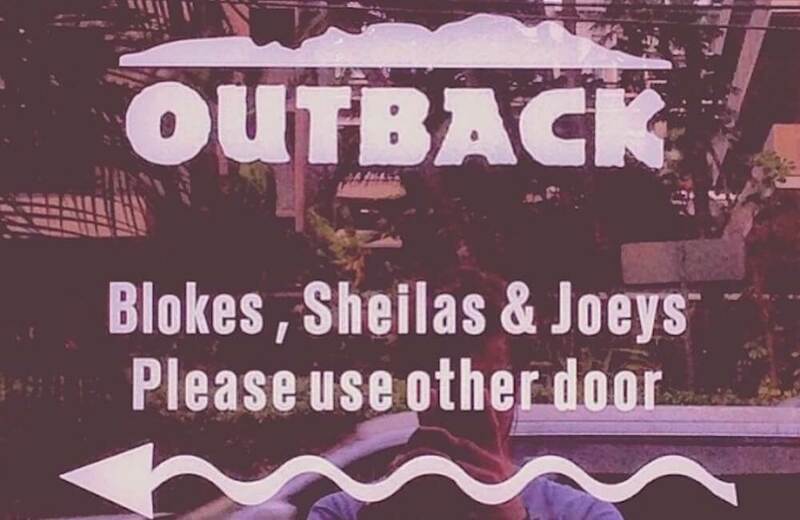 For a good laugh head to Outback Steakhouse, an American restaurant with a sketchy Australian theme. This restaurant chain opened back when Crocodile Dundee was a big hit, at that time the owners had never even been to Australia! With “Aussie-tizers” including the signature Blommin’ Onion and mains including Wood-Fired Shrimp on the Barbie, Alice Springs Chicken Quesadillas and Toowoomba Pasta, it’s probably the most confusing meal you’ll ever have. Bonus: They serve Foster’s Lager! I kid you not! 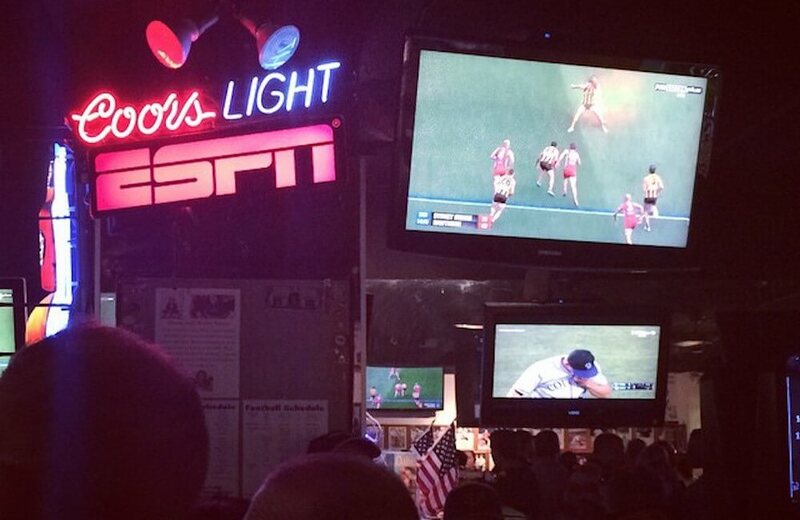 Legends Sports Pub is the longest running sports pub in Waikiki. It has Direct TV programming and they broadcast the AFL and NRL in real time, and American baseball, basketball and hockey, to name a few. The food menu is limited so you can bring your own snacks (they encourage it). There’s free wi-fi, dart boards and the Mai Tai’s are always US$4.00 each. Bonus: They will stay open late for the NRL State of Origin matches, how awesome is that! Hours Mon-Sat 7:30am-10:00pm; Sun 9:30am-2:30pm. Orchids at Halekulani is a stunning up-market restaurant on Waikiki’s oceanfront, perfect for celebrating a special occasion. 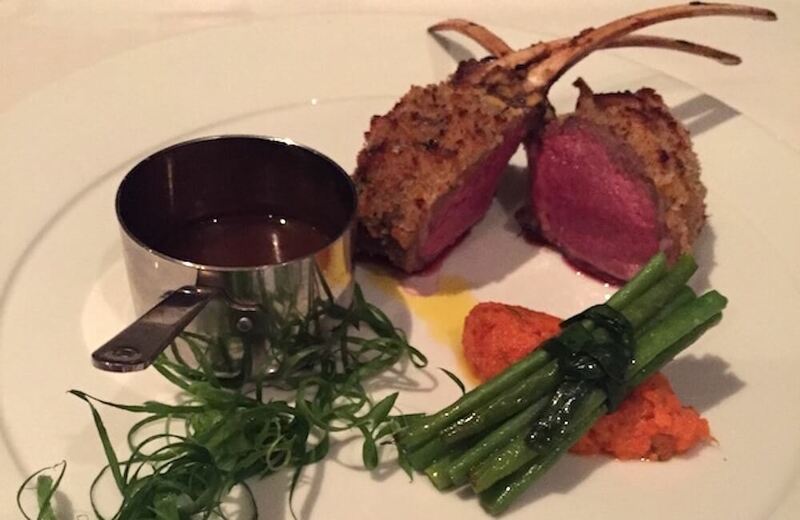 One of their signature dishes is an Australian Rack of Lamb, it’s walnut crusted and comes with carrot puree, sauteed haricot vert and a mint lamb jus. It’ll set you back US$48.00 but it’s delicious and you’ll enjoy every single mouthful. Make sure you reserve your seat ahead of time using Open Table. Bonus: It goes perfectly with a side of mashed potato gratin with goat cheese. Hours Fri 4:00pm-9:00pm; Sat-Sun 8:00am-5:00pm. 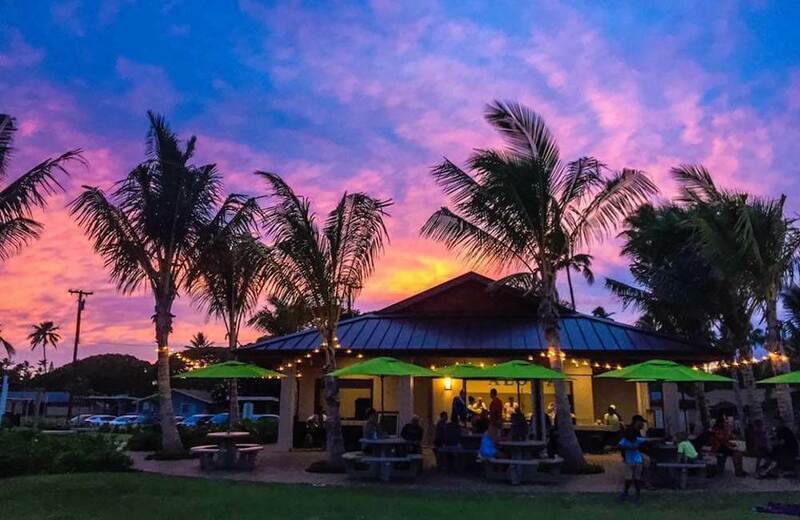 D’lish at the beach is a hidden gem at Kapilina Beach Homes at Ewa Beach, 45 mins drive from Waikiki. D’lish is a Fri-Sun cafe run by Australians, the menu is inspired by their Aussie roots and they often run designated Aussie nights (e.g. Carols by Candlelight). They’d love to see more Aussies at their cafe! They are located in a gated community that allocates 25 public passes per day. If you’d like to visit please reach out in advance via their Facebook page to arrange. 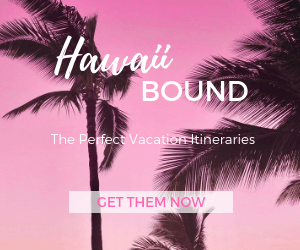 Bonus: The owners also offer event and wedding management services through D’lish Catering Hawaii. Hours Mon-Sat 11:00am-9:00pm; Sun Closed. You can’t miss the bright Fiji Market sign on the North Shore’s Kamehameha Highway. It’ll lead you to a small shop that’s famous for its Curry Kitchen and South Pacific island groceries. 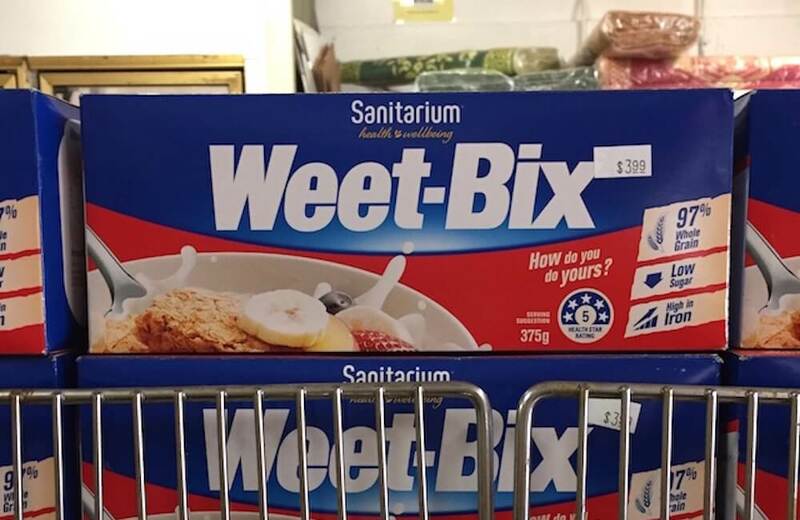 Find Australian Weetbix, Milo, Twisties, Smarties, Maggi noodles, Vegemite and Arnott’s biscuits including SAO’s, Kingston, Monte Carlo and Ginger Nut varieties. Bonus: Check the heated display case on the front counter, they often have meat pies and sausage rolls for sale! Hours Mon-Sat 10:00am-9:00pm; Sun 11:00am-9:00pm. Rock Island Cafe is an American retro diner with Hollywood themed decor and a rock’n’roll inspired menu. 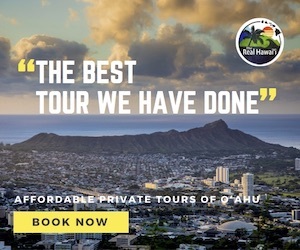 Aussies will appreciate the Vegemite Special with Toast & Coffee and Happy Hour drink specials 3:00-6:00pm daily, with Mai Tai and Blue Hawaii cocktails for US$5.00 and Hawaii’s Primo Beer for US$3.00. 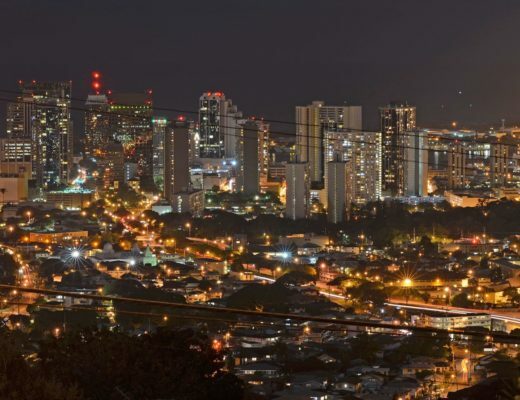 Find it in the heart of Waikiki behind the Hyatt Regency. Bonus: Rock Island Cafe also sells limited edition and hard to find memorabilia and collectables. Wallmart is an American chain of hypermarkets and visiting one in Hawaii is a fun activity in itself. It’s like an Australian Kmart on steroids with an added grocery section. 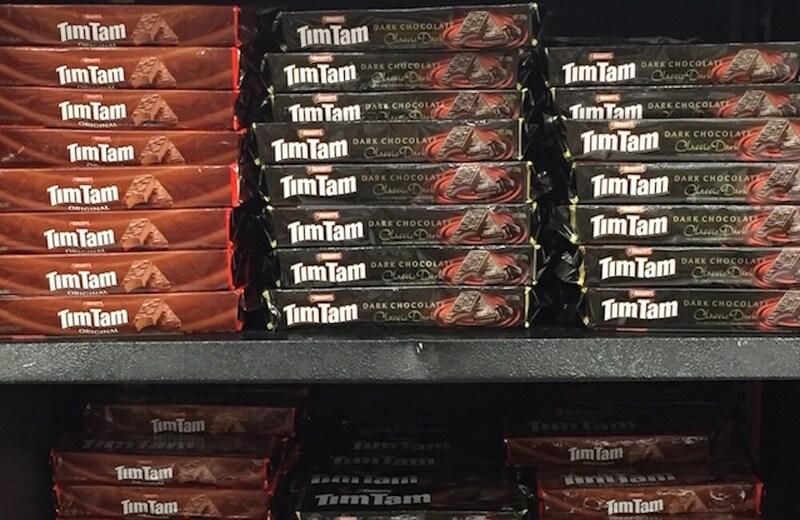 Walmart Honolulu is just 10 mins drive from Waikiki and they stock Tim Tams for just US$2.50 a packet. 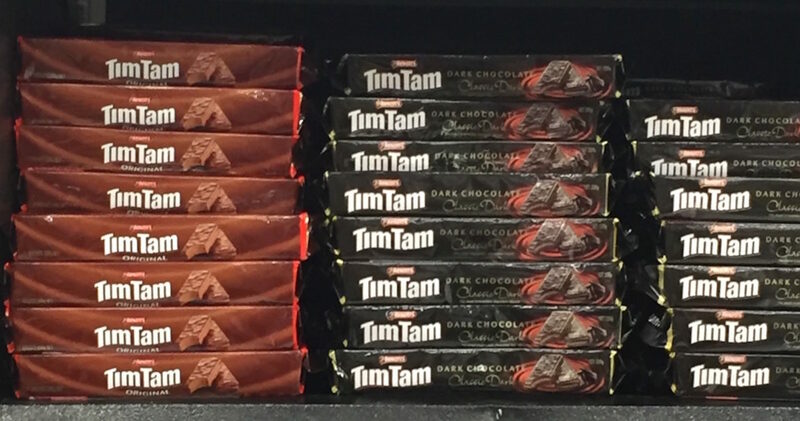 Note, Tim Tams are found in Aisle 8 (with the Juice, Creamer, Drink Mixes, Boxed Juice) not the expected Cookie aisle (as of Jan 2017). 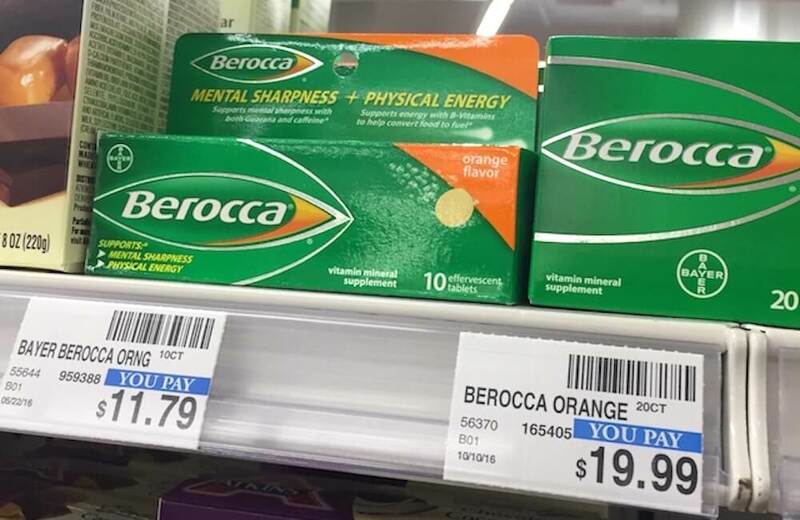 Bonus: Everything at Walmart is cheap, it’s a bargain lovers paradise. Hours Mon-Fri 8:00am-8:00pm; Sat-Sun 9:00am-6:00pm. Bonus: The ground floor functions as a convenience store and sells beer and wine. Hours Mon-Sat 10:00am-8:00pm; Sun 11:00am-5:00pm. Ginger Beer is hard to find in Hawaii. 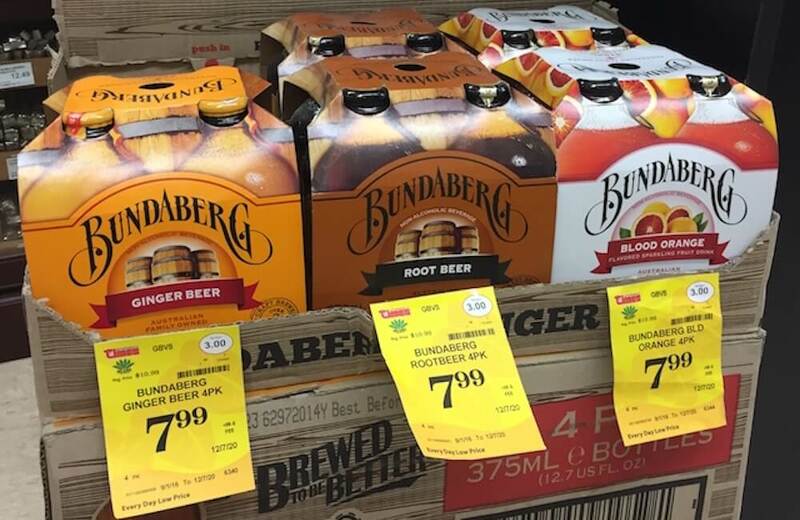 Thankfully, Fujioka’s Wine Times stock the Australian family owned Bundaberg beverages, pick up a 4-pack of Ginger Beer, Root Beer or Blood Orange flavours. Bonus: There’s also a small Australian wine area. 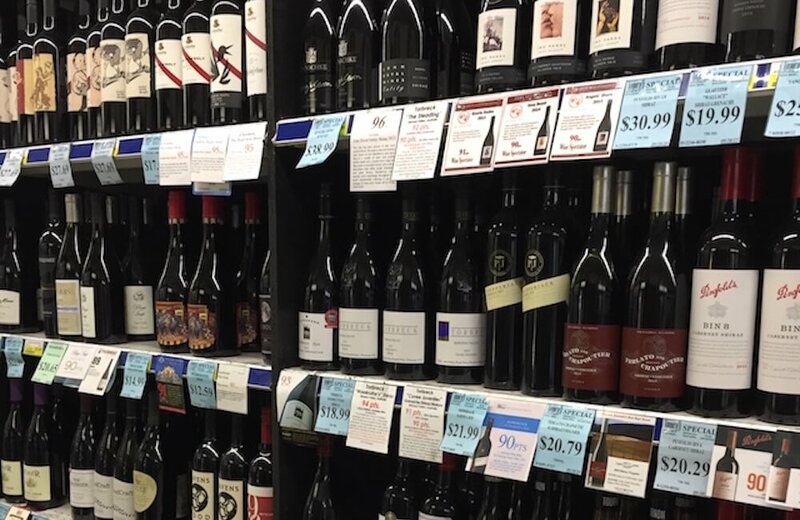 Tamura’s Fine Wine & Liquors have stores located across Oahu. Their Waialae Avenue store is 15 mins drive from Waikiki and is a gem with its very own Australian wine section. To name a few brands, Mollydooker, Henschke, Torbreak, Terlato, Penfolds, Pepperjack, Tournon, The Chook, Jacob’s Creek and Kilikanoon line the shelves. Bonus: Tamura’s also sells tasty Hawaiian poke, a delicious cubed raw fish dish.